Mackintosh Lawn Tennis Club were named Tennis Wales Club of the Year for 2017! 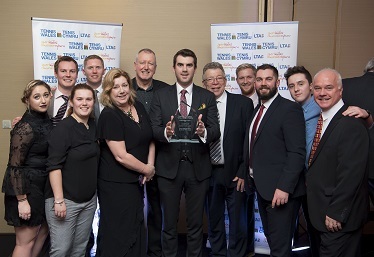 Mackintosh Lawn Tennis Club are extremely proud to announce that in the recent Tennis Wales Awards evening, they were named Tennis Wales Club of the Year for 2017! Mackintosh LTC is extremely grateful to all their members and everyone involved with the club for their fantastic support, which has helped them to achieve this award. 2017 was an extremely successful year for the club. • Started an outreach programme at Roath Park site to provide more opportunities for people in the community to play tennis. • Several successful social events bringing members together at the club, including family quiz nights, Halloween party and Golf Day.